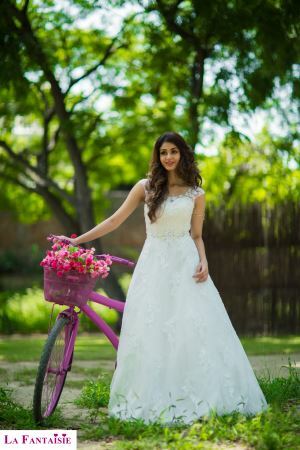 Top 5 Christian Wedding Gown Designers in India for that perfect White Gown! While we all dream of an Oscar De la Renta gown to wear on our big day, it is practically difficult and overly expensive to find one in India. So, here we are with some homegrown designers, who happen to design the most amazing Christian wedding gowns that you can don on your big day. What’s more? They won’t burn a hole in your wallet à la Vera Wang or Christina Wu. By combining the rich aesthetics of Indian culture with western design, Karleo is changing the bridal wear game in India. Their wedding gowns have rich textures, intricate detailing and varied style of embroidery. With a wide selection of bridal gowns, La Fantaisie by Rachel is a brand that any bride with a modern and trendy sense of style would absolutely fall in love with. Don’t believe us? See for yourself! If elegance and style had a name, it would be Kanika Manchanda. While her white wedding dresses are a sight to behold, she gets it right every time with a pop of colour too! 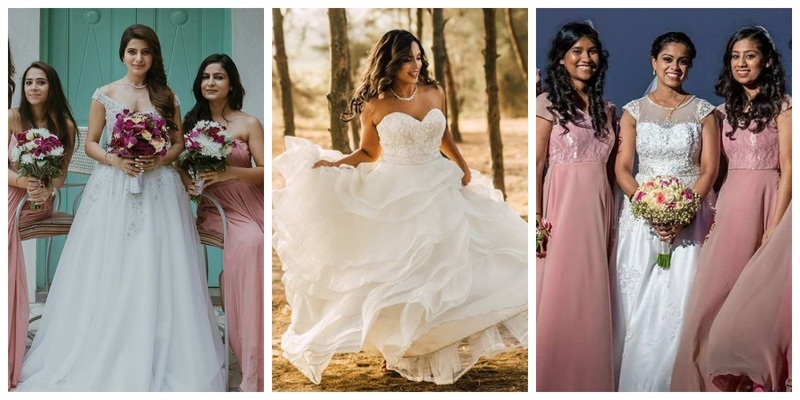 Be it a simple white dress for your traditional church wedding or a fancy embellished gown for your reception, you can trust Charlotte to make you look like the bride of your dreams. So, which bridal gown designer one are you planning to choose for your special day?